It isn't throwing in the towel just yet, but things don't seem to be looking good for Netherlands-based iRex Technologies -- CEO Hans Brons has just announced that the company has been forced to file for Chapter 11 bankruptcy protection amid a string of problems that's led to "financial difficulties." 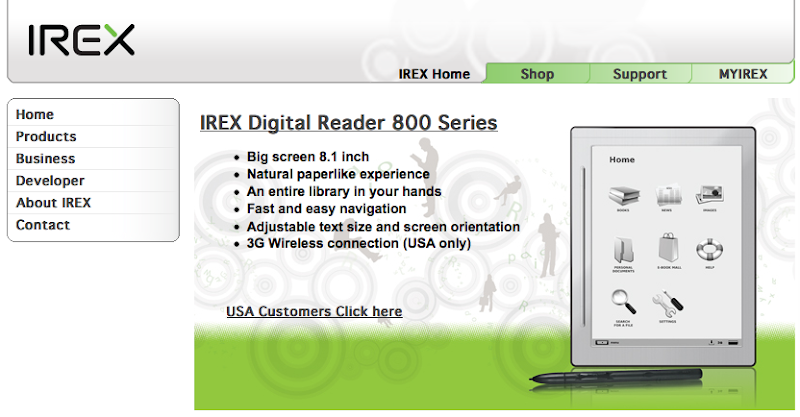 While details are otherwise still pretty light, at least some of those problems seem to be related to the company's operations in the United States and, in particular, a delay in its DR 800 e-reader receiving FCC approval that caused iRex to miss out the holiday shopping season and fully take advantage of its deal with Best Buy. As bleak as things might be, however, Brons still seems to be keeping his chin up, saying that the "expectations are still positive."